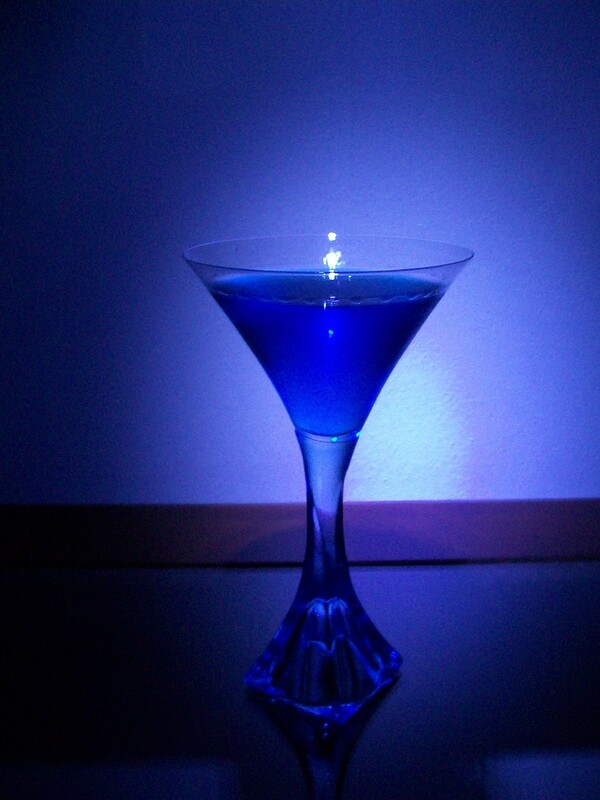 Toast to tonight’s extraordinary moon with a Blue Moon Cocktail. August 2012 has seen its second full moon tonight. The next time we’ll see two full moons in the same month won’t be until 2015! That is unless you’re using the seasonal definition which counts the third full moon as the Blue Moon in a given season with four full moons. That won’t happen until August next year. The original recipe for the Blue Moon simply calls for 1 1/2 ounce of Gin and 3/4 ounce of Crème de Yvette. Crème de Yvette, with its hint of violet and vanilla, is not the most readily available ingredient though. In 2009, the makers of St. Germain Elderflower Liqueur have apparently reintroduced this liqueur which was last produced in 1969. Supposedly, Crème de Violet may be used as a substitute, but that isn’t exactly easy to come by either! Since I was unable to locate a bottle, I came up with the following variation. After all, it’s not everyday you can toast a Blue Moon! Once, or twice, in a blue moon. 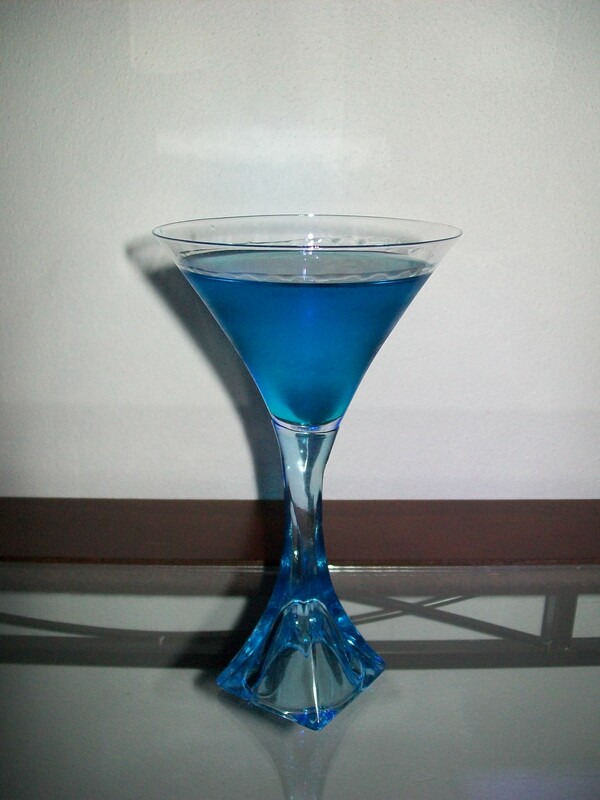 Pour 2 ounces of gin, 1 ounce of blue curaçao and 1 ounce of St. Germain in a shaker over cracked ice. Shake and then strain into a cockatil glass of choice. Optionally, garnish with a twist of lemon peel as the old recipe calls for. How I like it: This flavorful drink likely acheives a similar taste. I find I rather like it and would certainly try it more than “once in a blue moon”. Maybe by the time the next blue moon rolls around in 2015, I’ll have Crème de Yvette in stock. Don’t be a lunatic, drink responsibly!